Purchase any of our Fluency packages at the reduced rate of $45/hour. This is our lowest rate, the one that subscription clients enjoy regularly. Until Dec 25th, you can purchase any Flex Pay Fluency package at this lower hourly rate. Promotional rate is valid from December 3 to December 25 at 11:59PM PST. Stock up on lessons and use your credits at your own pace. Shop now. Get a free 30-minute Trial Lesson when you purchase a Fluency package of 6 hours, 10 hours, or 16 hours. Shop now. Would you prefer to test-drive our lessons before committing to a package? It’s simple! Book a Trial Lesson here. 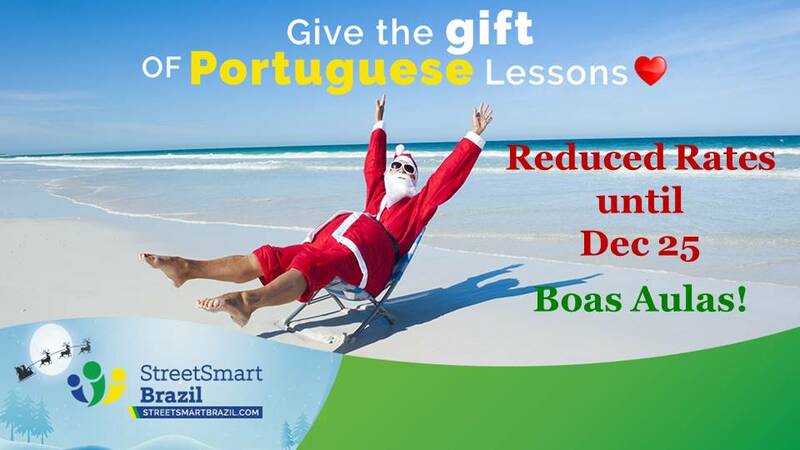 Feliz Natal e Boas Aulas!